RSS has been awarded the 2018 Ready Senior Center of the Year by the NYC Emergency Management Department and the NYC Department for the Aging. The Ready New York Program honors one senior center each year for their commitment to emergency preparedness. Below are important tools every New Yorker, particularly older adults, should know and use. We will be updating the site on a routine basis. 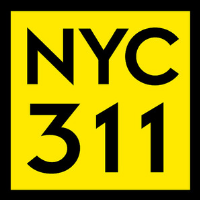 Not only can you dial 311 when you have a question, complaint or concern, you can also go to their website. Also available in an app for iPhone or Android. VERY IMPORTANT! 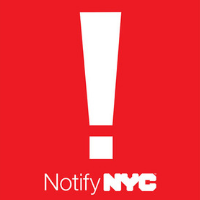 Notify NYC is the City of New York's official. free emergency communications program. Enroll in this site! You can get messages through many formats, including email, text messages, telephone, and more. You receive notifications for emergencies and planned events for zip codes that you choose. Most of the alerts are available in 12 languages in addition to English, and American Sign Language. Registration is free. Record your emergency plan details and contact information for all household members. Print this and fill out. 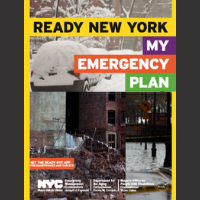 Many helpful links and tools on the NYC Emergency Management page directed to seniors. 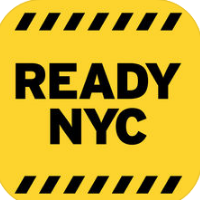 Ready NYC encourages users to make an emergency plan before disaster strikes. Users can store important information they may need in an emergency and contacts. Available on iTunes and Google Play. This is a quick guide that can fit in your pocket on what you need to be prepared. Includes an emergency reference card. 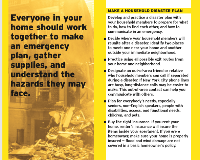 Full booklet on how to make your emergency plan. Includes how to make a plan, gather information and create a network of people for support. You want to have a plan not only for you, but for your pets as well. 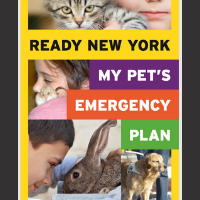 Includes what to do with your pet if you need to leave your home immediately. The shelter local to the Center at 2600 Netherland Avenue is at MS-HS 141 located at 660 West 237 street between Hudson Manor Terrace and Independence Avenue. The main accessible entrance is 3700 Independence Avenue. Accessible restrooms, dormitory and eating/ cafeteria areas and other ammenities as needed.